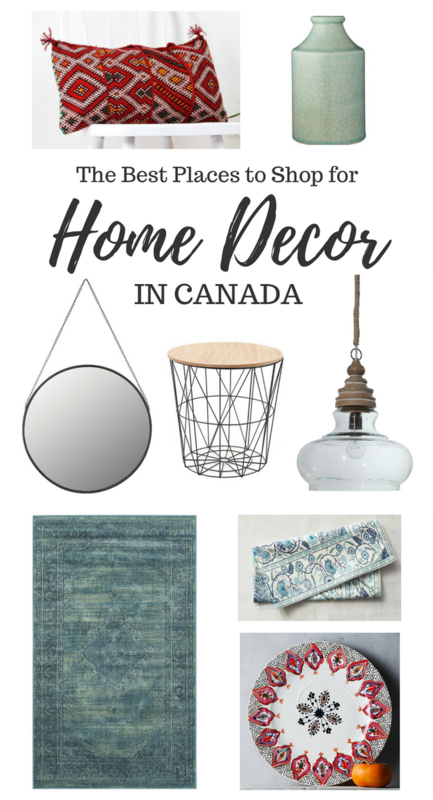 Not sure where to shop for home decor in Canada? I’ve rounded up some of the best sources for Canadian shoppers, both in-store and online. Hello there! If you follow along on Facebook, you may have seen the call out for reader questions a few weeks ago. To those of you who emailed me, thank you! I really do enjoy seeing what you’re up to. Unfortunately, I can’t get to each and every one of those questions today. No need to fret! The design and decorating (and other) dilemmas you’re currently facing help me plan future blog posts, as well as social media content, so I encourage you to continue following along. You can subscribe HERE. Where do You Shop for Home Decor in Canada? Thanks for reaching out, Madeline. To start with, congrats on finishing up the main parts of your living room makeover. I know how much work it can be! As you may know, I’m in the process of decorating our living room and have experienced some of the same frustrations finding the perfect decor pieces at a good price. However, I have to say the selection and variety of quality home decor sources across Canada have increased substantially over the past few years, making the whole process so much better. My best advice is to come up with a decorating plan for your space first and foremost. You may even want to create a mood board or Pinterest board to get a sense of your style. The living room board I created on Pinterest can be seen HERE, where you’ll most likely notice my love of light and airy walls with pops of blue. So far I’m on the right track as far as decorating goes. Next, put together a handy list of the decor items you’re looking for with all of the measurements. I keep a copy on my phone so I always know what I’m on the hunt for. Sometimes my brain freezes when I get inside a home decor store! Decide on a budget beforehand so you know when you can afford to splurge on an item and when you need to save on another. Finally, don’t be in a rush. Some of the best spaces are those that evolve over time. Affiliate links are included for some of the shops in this post. Check out my blog policies here to find out what that means. **Note: Click on each heading to go directly to the site. 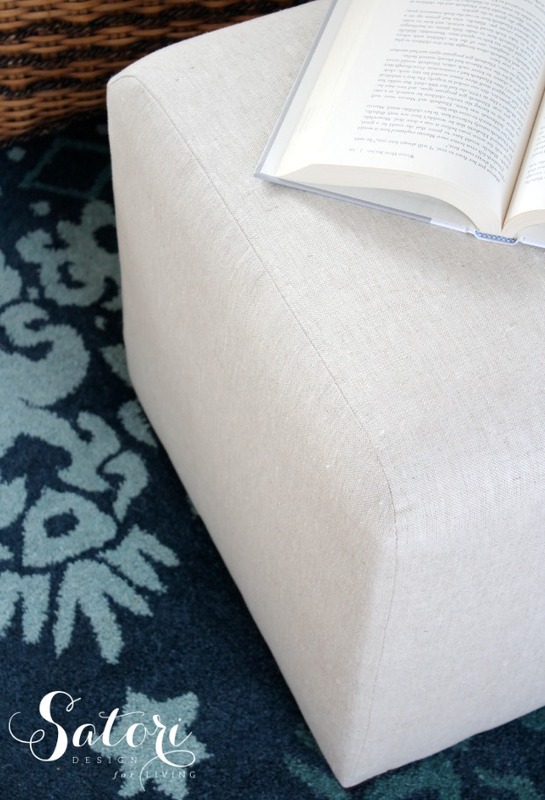 A one-stop shop for all home decor, including area rugs, mirrors, accent chairs and more. See our mantel decorated for Christmas using room decor from Wayfair. Some of the best deals on area rugs, coffee table books, kitchen decor, lighting, wallpaper and more. My go-to source for handmade room decor, including throws, artwork, pillow covers and trays. You can find vintage items too. 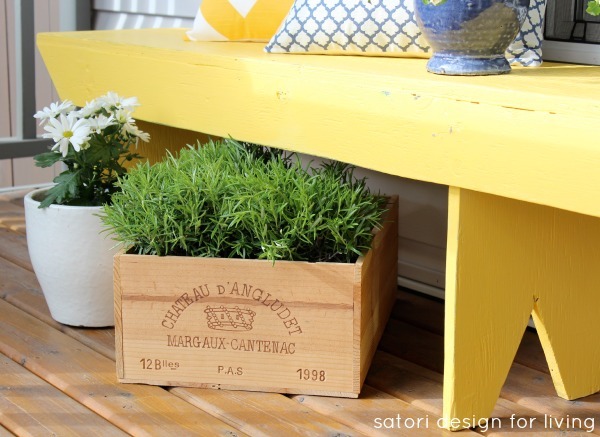 See how I decorated our front porch for spring using items from Etsy. My go-to store for brand name decor at an affordable price. For anything seasonal, it’s usually my first stop. Check out how I decorated our staircase using rope mirrors from HomeSense. 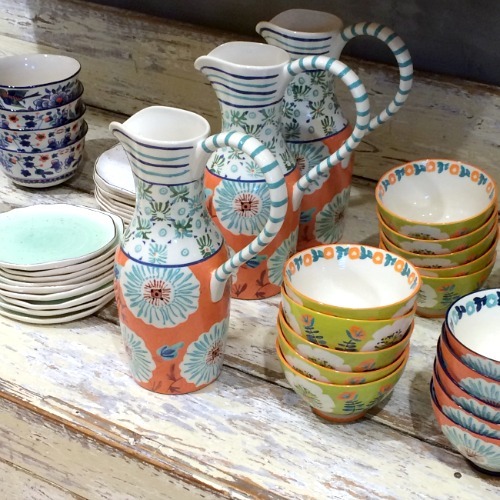 A favourite source for seasonal, table and outdoor decor. See the outdoor tablescape I put together using dishes from Pier 1 Imports. One of the best shops for decorative pillows and throws. I also love their bedding collections (when they go on sale). Pottery Barn offers shipping to Canada, but additional charges often apply. See the pillow I picked up for my GALentine’s Day tea party. Although locations are select throughout Canada, I wanted to include it as a good stop for unique kitchen and dining decor. You’ll usually find me at the sale table looking for discount dishes! A great source for quality bedding and kitchen linens in a variety of styles. I personally love their Le Germain Hotels collection (so comfy) and gorgeous throws. A definite stop for all things bedding and bath, especially if you hit their one-day sales. I simply adore their Hudson’s Bay Company collection featuring their iconic blanket (I’m currently coveting). One of my favourite sources for seasonal pillow covers, kitchen decor, vases and frames. Check out some of the items I picked up for our kitchen from Chapters. A Canadian company known for modern and contemporary home decor that’s both practical and fun. One of my best sources for ready-made curtain panels and window hardware. Suggested by a friend, this shop carries all sorts of unique pieces I haven’t spotted elsewhere. Some of my favourites are the light pendants and wall planters. Want a steal of a deal? Shop garage sales, thrift shops and online resale sites. I’ve scored all kinds of vintage home decor and furniture pieces like this ottoman for next to nothing! Two of my favourites that I visit on a regular basis are Value Village and Mission Thrift Store. If you see something you like, grab it. You can always put it back if you change your mind! 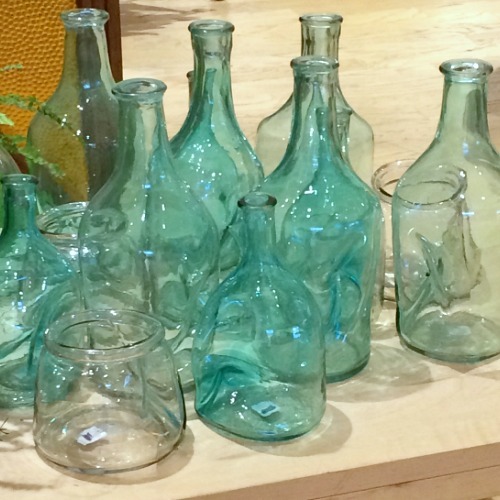 One of the best places to find unique home decor is at boutique shops in and around your neighbourhood, so take a drive! 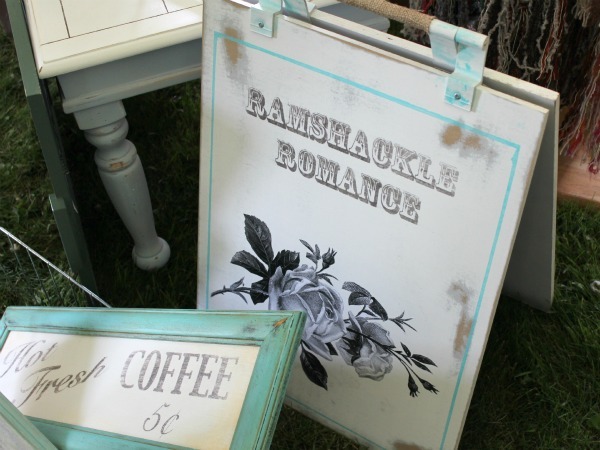 As well, don’t overlook local markets and other events where there may be home decor pop up shops. A couple of my favourites in the Calgary area are Vintage With Flair (formerly Vintage Chicks) and All Thru the House. There you have it! Although I could add more to this list, I’ve included the home decor sources I tend to use over and over again without fail. I’d love to know what some of your favourites shops are, so be sure to leave me a comment! If you have a decor, design or even a blogging question you could really use help with, follow the Satori Facebook Page to find out when the next open call for questions is or shoot me an email! To see past reader questions, go HERE. To shop our home, go HERE. I liked your advice to make sure that you come up with a decorating plan. I think that many people don’t understand the possibility of not having ideal decorations because of lack of planning. However, it is important to plan ahead. Do you have any other tips about decorating your home?